This series integrate the function of dehumidifying, drying, and two-stage conveying into one unit with compact design to save space, ideal to high demands of automation system and limited working space. It adapts PLC controller with the superior features on easy operation, stable function, and low power consumption. The drying air flow ranges from 50~400 m3/hr. In addition, we design optic class 3 in 1 compact dehumidifying dryers for optic products to satisfy with customers’ various demands. 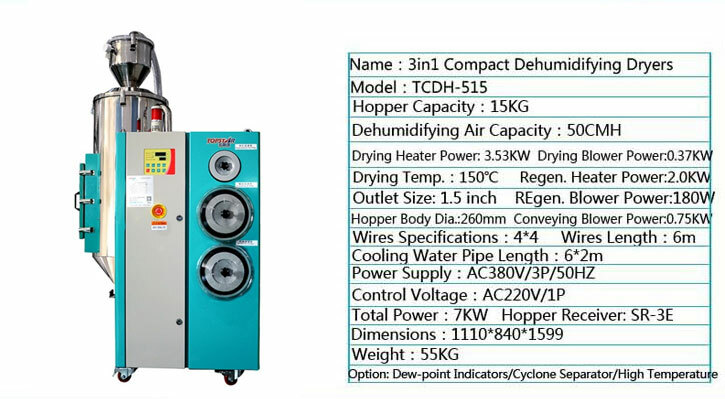 To integrate the function of dehumidifying , drying and two-stage conveying into single unit. Three- stage conveying function is optional. Double- wall insulated hopper dryers features down-blowing pipe design to avoid heat dispersion for improving drying efficiency. The dehumidifying system employ double coolers for ensuring lower return air temperature and dew-point value. Feeding system is equipped with shut-off valve to ensure no remaining material in hopper tube. Optical-class models use mirror polished treatment on the material contact surface to avoid material contamination and collocate feeding system with closed – loop in order to avoid the possibility of regain for absorbingoutside air during material conveying . To adopt P.I.D temperature controller to accurately control regenerative Temperature to ensure dew-point stable. Return air filter is installed inside to ensure no powder & dust contamination to the honeycomb rotor. 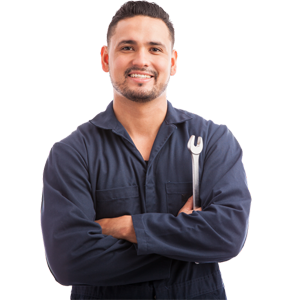 Using imported superb parts which enhance function and extend service life for saving maintenance cost. Powder coated frame of machine with exquisite appearance.